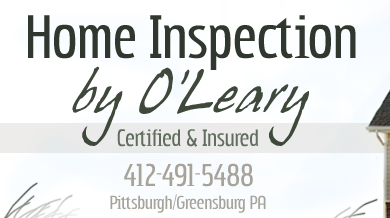 The best way to schedule a home inspection or get answers to your questions is to call me directly at 412-491-5488 between the hours of 8am and 8pm. I usually answer the phone personally. If you don't reach me right away, please leave a message and I will return your call as soon as possible. Scheduling a home inspection via email can be difficult since there are many schedules that need to be accommodated. However, you are certainly welcome to email me at timo9955@comcast.net and I will get back to you as soon as possible. I service the entire Western Pennsylvania region from Pittsburgh to Greensburg including all of the surrounding areas. ©2008-2015 Home Inspection by O’Leary | Tim O’Leary. All Rights Reserved. Site Created by Design Intervention.